Male. Born in Gansu, People’s Republic of China, 1975. Currently working and living in Shanghai, China. Bachelor of Arts, Northwest Normal University, June 1999. Courses taught: English; English-Chinese Translation; English Writing; American Literature; Comparative Literature; American Culture. Supervising students’ theses for M.A. and B. A..
Chen, Guangxing. “Diasporic Identity and Ethical Choice in Jhumpa Lahiri’s The Lowland.” 5.2(2015): 108-124. Chen, Guangxing. “English Fiction in China in 2013.” Foreign Literature Studies. (2)2014: 16-24. Chen, Guangxing. “The Inevitable Rhetoric of Otherness: Rereading ‘Third-World Literature in the Era of Multinational Capitalism.” English and American Literature Studies. (1)2014: 312-326. Chen, Guangxing. “Literature’s Marketing as in Jonathan Franzen’s Freedom.” Contemporary Foreign Literature. (1)2013: 63-70. Chen, Guangxing.“Jonathan Franzen’s Freedom as a ‘Big, Ambitious Novel.’”Foreign Literature. (6)2012: 145-152. Yu, Jianhua & Chen, Guangxing et al.“Literature.”Report on the Development of Social Science and Humanities in Foreign Universities. 2011.” Beijing: High Education Press, 2012. Chen, Guangxing. A Study on the Plot of Joseph Conrad’s Fiction. Shanghai: Shanghai Foreign Language and Education Press, 2011. Chen, Guangxing.“A True Lie: the Dilemma Faced by the Literature of American Minorities.”Foreign Literature Review. (2)2010: 180-190. 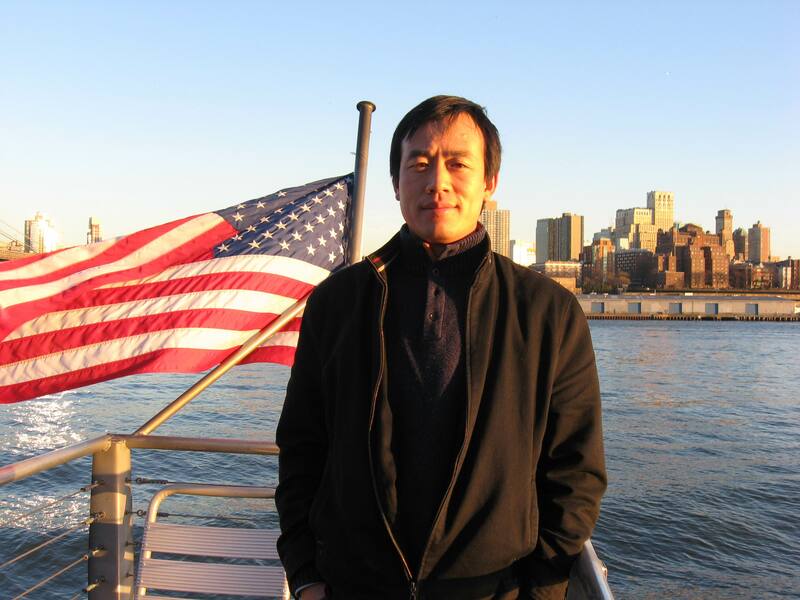 Chen, Guangxing.“Originality in American Literature Studies in China: An Interview with Yang Renjing.”English and American Literature Studies. (1)2010: 1-11. Chen, Guangxing.“The Absurdity Caused by the Blockage of Language in Joseph Conrad’s The Secret Agent.”Gansu Lianhe University Journal. (4)2010: 37-40. Chen, Guangxing.“The Fiction Focusing on the Aged in Contemporary Western Literature.”Longdong College Journal. (6)2010: 62-66. Chen, Guangxing.“Hamlet in the West.”English Studies. (4)2010: 37-41. Chen, Guangxing.“Narrative Stereotype Cooperates with Fashionable Themes: the Reason Why the Movie Slumdog MillionaireIs so Popular.”Contemporary Women. (10)2010. Chen, Guangxing.“Scenery Lies in Your Eye.”Dazhong Daily. 2010.10.8. Chen, Guangxing.“A Review on Alain de Botton’s The Pleasures and Sorrows of Work.”Global Times. 2010.4.9. Yu, Jianhua & Chen, Guangxing et al.“Literature.”Report on the Development of Social Science and Humanities in Foreign Universities. 2010.” Beijing: High Education Press, 2010. Yu, Jianhua & Chen, Guangxing et al.“Literature.”Report on the Development of Social Science and Humanities in Foreign Universities. 2009.” Beijing: High Education Press, 2010. Chen, Guangxing, Su Zhongle, Wang Fengzhen trans. Postmodern Papers by Fredric Jameson. Beijing: Renmin University of China Press, 2010. Chen, Guangxing.“Coincidence in Literature.”English and American Literature Studies. (1)2009:315-329. Chen, Guangxing.“Body’s Metamorphosis and Parody: A Study on Philip Roth’s The Breast.”Foreign Literatures. (2)2009: 98-104. Chen, Guangxing.“Free Writing? : Ha Jin’s Paradoxical Writing.”Chinese Comparative Literature. (3)2009:80-89. Chen, Guangxing.“Ha Jin Is Telling Much Too Perfect Stories.”Translations. (3)2009: 184-187. Chen, Guangxing.“Pulitzer Prize for Fiction Underlines the Life of the Aged: Elizabeth Strout Won Pulitzer Prize for Her Olive Kitteridge: A Novel in Stories.”World Literature Recent Development. (5)2009: 32-34. Chen, Guangxing and Nan, Zhiguo trans. Status Anxiety by Alain de Botton. Shanghai: Shanghai Translation Publishing House, 2009. Chen, Guangxing.“The Interpretation of the Pains of Modernity. A Book Review.”Chinese Comparative Literature. (1)2008: 104-108. Chen, Guangxing.“Repetition and Tragedy: a Study on the Plot of Conrad’s Fiction.”Kunming University Journal. (1)2008: 36-39. Chen, Guangxing.“A Transboundary Dancer: A Review on Louise Erdrich’s Love Medicine.”China Reading Weekly. 2008.11.26. Yu, Jianhua & Chen, Guangxing et al.“Literature.”Report on the Development of Social Science and Humanities in Foreign Universities. 2008.” Beijing: High Education Press, 2008. Chen, Guangxing.“Four Perspectivesto Approach Joseph Conrad’s Tragedy.”Journal of Beijing International Studies University. (8)2007: 59-63. Chen, Guangxing.“The Isolation Mode of Tragedy Plot in Joseph Conrad’s Fiction.”English and American Literature Studies. (1)2007: 116-129. Chen, Guangxing and Meng Li trans. The Coffee-House: A Cultural History by Markman Ellis. Guilin: Guangxi Normal University Press, 2007. Chen, Guangxing. “Dialogue and Freedom in French Lieutenant’s Woman.”Contemporary Foreign Literature. (2)2005: 145-152. “Carnivalism in Their Eyes Were Watching God.”Foreign Literature Studies. (4)2005: 32-38. Chen, Guangxing.“Focusing on Readership’s Aesthetic Demand: A Review on Huang Lushan’s A History of American Popular Fiction.”Literature Press. 2004.3.25. Chen, Guangxing.“On the Neatness of Structure of Pynchon’s Vineland.”Journal of the Northwest Adult Education. (3)2001: 37-39. Chen, Guangxing.“Metanarratives in Pynchon’s Vineland.”Northwest Normal University Journal. (5)2001: 26-28. “Politics, Culture and Literary Imagination: The International Seminar of English and American Literature”, Shanghai International Studies University, Shanghai, China, April 18-20, 2013. “Humanities and Values: Conference of Contemporary Foreign Literature 2012”, Henan Polytechnic University, Jiaozuo, Henan, China, September 21-25, 2012. “Conference of African American Literature”, Central China Normal University, Fuhan, China, December 19-20, 2009. Translator for the Journal Chinese Comparative Literature by Chinese Comparative Literature Association. Second Prize for Academic Papers awarded by Shanghai International Studies University, 2007. Tutoring English and translation service for social organizations and individuals.